Check out the 2019 Children's Book Week Poster by Yuyi Morales! Registration to be an official Book Week location for spring 2019 is now closed, but you can request posters here, and we will get them to you by late April. Thank you for your patience as our sign-up is 50% higher than last year. What is Children’s Book Week and when does it take place? 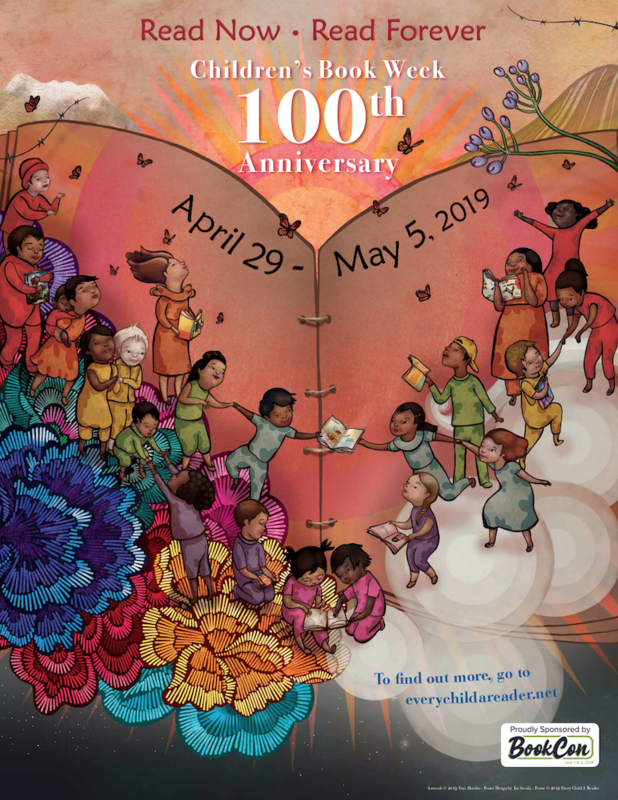 In 2019, Children’s Book Week will celebrates its 100th anniversary. This year-long celebration will be highlighted by two specific weeks of events across the country, April 29 to May 5 and November 4 to 10. Children’s Book Week, an annual celebration of books for kids and teens, was launched in 1919 and is the longest-running national literacy initiative in the country. In 2018, the 99th anniversary, over 700 libraries, bookstores, and schools hosted Book Week story times, activity hours, and more. 2019 will mark the 100th anniversary of this celebration with celebration moments happening through-out the year. Learn more about Children’s Book Week here. How can schools, libraries, and bookstores participate in this national celebration? Currently, registration is closed for our spring week of celebrations. More details about the fall week coming soon! 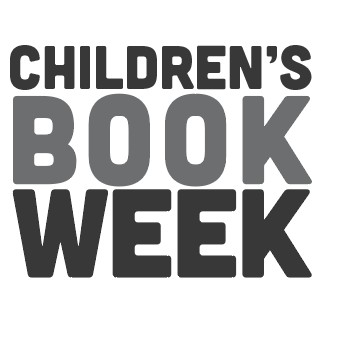 Sign up online with a simple form and you will be registered as an official Children’s Book Week event. Begin planning your event for some time during the week of April 29 – May 5 and publicize that event with your local media. We will provide you with a local media press release template and some great resources to help you plan (2019 resources will be available in February 2019). Feel free to host as simple or as elaborate a celebration as you would like. How can other community organizations participate? Due to the cost of shipping materials, we ask that community organizations partner with their local bookstore, school, or library to host an event. Email us at Shaina.birkhead@cbcbooks.org for more info. How can authors and illustrators get involved? Authors and illustrators across the country are invited to participate in Children’s Book Week by being a part of an event. You can do that by one of two ways. Work with your publisher: Going on tour during Book Week? Talk to your publisher about branding your events as Book Week celebrations. Let them know you are interested in scheduling a Book Week specific event during the week. Reach out to your local library, school, or bookstore: Work directly with a location in your area to create or be a part of an event during Children’s Book Week. Make sure that the event location registers online so they receive free posters and access to other exclusive resources and support. How can I find an author or illustrator to attend my event during Children’s Book Week? 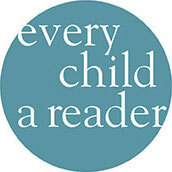 We ask all participants to contact a local author or illustrator to participate in your Children’s Book Week event(s). What resources are available to me and where can I find them? What are the Children’s & Teen Choice Book Awards? Both the finalists and winners are chosen by kids across the country. The 2018 winners were announced this May. Finalists for 2019 will be announced in February 2019! How can I host voting in my store, school or library? See our Children’s & Teen Choice Book Awards event kit for details on how to host voting at your location. A handy group ballot will be available for adults to enter large numbers of votes.